sailboat. 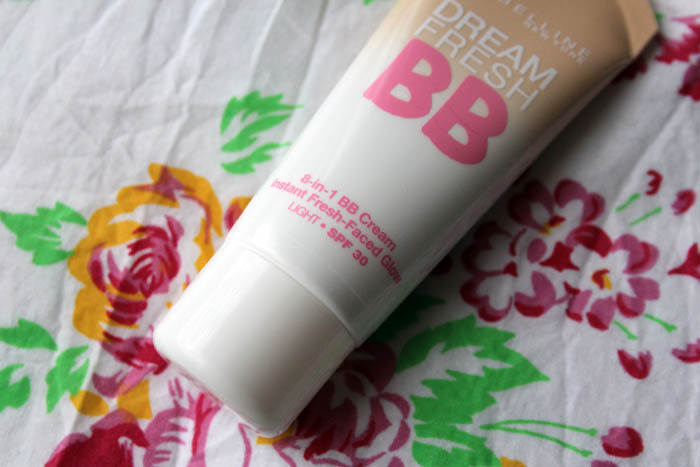 : Review: Maybelline Dream Fresh BB Cream. 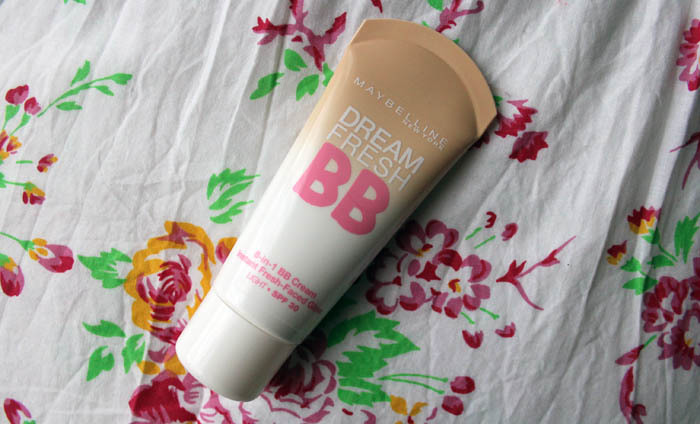 Maybelline Dream Fresh BB Cream. £7.99. Usually I'm not one to stray from my tried and tested base make up products but I had been hearing so many good things about the Maybelline Dream Fresh BB Cream and I was really intrigued. Initially I kind of just forgot about it because I find a lot of high street base products are too dark for my fair skin but when I noticed that Maybelline were giving away samples in the lightest shade on their website I jumped at the opportunity to try it. The shade 'Light' is ever so slightly too dark for me but it's not hugely noticeable and nothing a bit of blending doesn't fix, for reference I'm an NC15 in MAC. It also doesn't look orange in tone & it's quite a nice match for my warm complexion. In terms of coverage it's definitely very sheer, just enough to even out my skin tone but not enough to allow me to skip concealer around my nose and on the redness on my cheeks. The oil free formula leaves a nice glowy look to the skin but it's not greasy and doesn't leave you feeling oily. I'm not sure how well this would work on super oily skin, I imagine you would need a good setting powder but it doesn't slip at all on my normal/dry skin. I don't find it moisturising enough to skip moisturiser before hand and even though there is an SPF of 30 I use a dedicated SPF underneath as well. With a good moisturiser on underneath I don't find it accentuates dry patches at all. It blends really well into the skin and although the bottle looks really tiny, a little goes a long way, which is nice. It's not overly scented and just feels really comfortable to wear, it's in no way heavy and lasts well on my skin for around 6 to 7 hours without touching it up throughout the day at all. It's fast become one of my summer staples because it's one of those products you really don't have to think about or spend too much time applying in the mornings. I usually blend with my ELF Studio Powder brush but it works equally as well with fingers as well. What's been your favourite base make up product this year? I have been wanting to try this for sooo long, but I need to work through all of my foundations and tinted moisturisers first. This looks so lovely on your skin! I tried the samples too but I still can't decide whether or not to buy the full size. I definitely didn't realise there was SPF30 though, extremely tempted to pick this up for my holiday! I really want to try this! I've made a deal with myself that if I finish up a few of my face products, I can try this out! Sounds like a pretty great product, I always like the sound of "light" feeling products - I hate anything that makes my skin feel heavy with makeup! 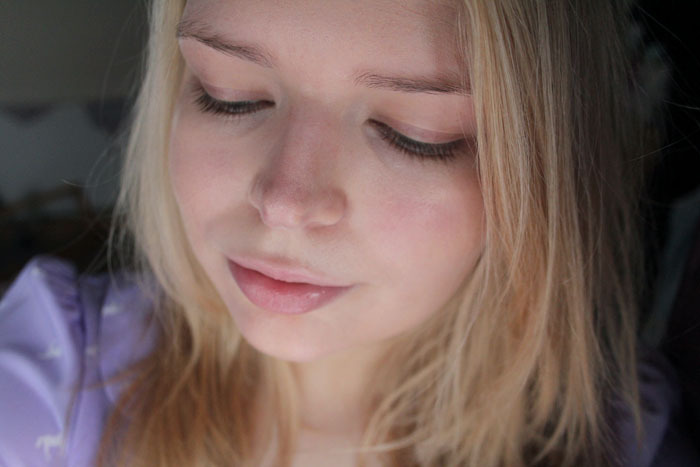 You have flawless skin, it looks so perfect in all your photos - you probably don't even need makeup! I tried this out the other day as I had a couple of samples. 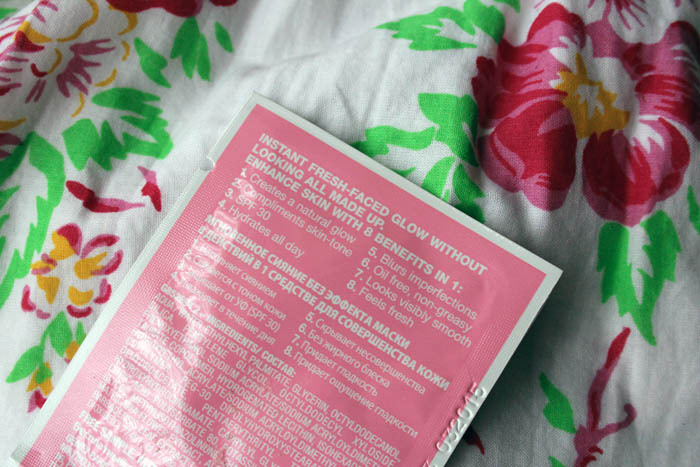 It looked lovely when I first applied it in the morning and really blended into my skin perfectly. But when I looked in the mirror a couple of hours later, I looked like death warmed up! Or basically, like me without any makeup on, haha. I'll give it another go though, as perhaps I really was just having such a terribly bad face day that nothing could fix it! Ooohhh I tried the little sachets, I really like it but its not enough coverage for my flawed skin, bleugh! I used the little sachets on days where I didn't need to go 'out-out' and I suppose that defeats the point - So I won't be buying any yet unless my skin gets AMAZING. (Unlikely). Thanks for all the tips! I needed that. hm I wasn't sure about this cause I too have quite light skin but I'm gna get a sample and give it ago, it looks freally fresh and light!